MET echoed with patriotic fervour as students and staff from all MET Institutes came together to celebrate India’s 70th Republic Day on 26th January, 2019. 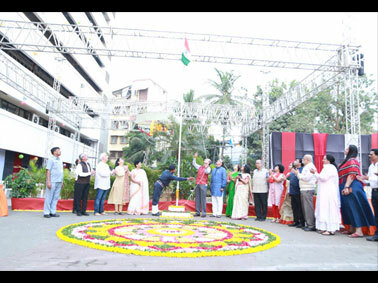 The celebrations began with hoisting of National flag by the chief guest CDR Pravin Deshpande, ex Indian Navy Commander and Pankaj Bhujbal, Trustee - MET, followed by the National anthem. A bouquet of cultural performances including mesmerizing songs, musical skit and thought provoking speeches were presented by students and staff on this occasion. 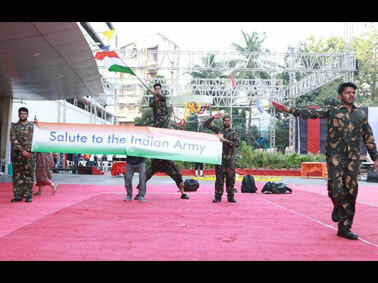 The highlight of the day was an energetic musical skit saluting the courage and sacrifice of the Indian Armed Forces by MET Institute of Mass Media.